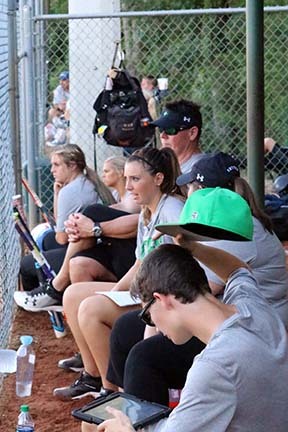 It was a beautiful day for softball as the Dragonettes of Pickens High School opened up their 2018 season by hosting the Lady Indians of Lumpkin Co. on Monday. The afternoon started right after school as the Junior Varsity took the field in game one on the day. The Lumpkin JV took a 5-0 win over the home team. The scoreboard did not reflect the hustle and determination the Dragonettes JV displayed in that game. The main event for the day brought the Varsity Dragonettes to the field hosting the Lady Indians. 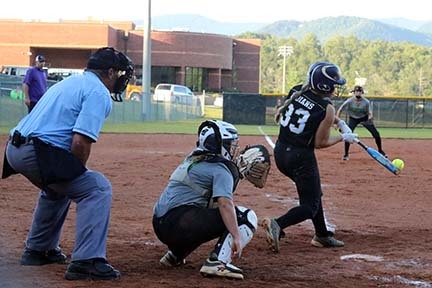 Lumpkin Co. scored early and often putting up 1 in the first, 5 in the third and 2 each in the fourth and fifth innings. 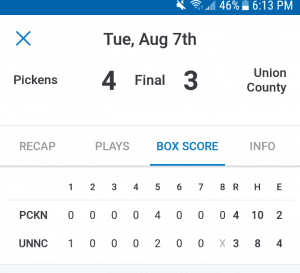 The defense for Pickens had a few opening day jitters committing 5 errors in the game. 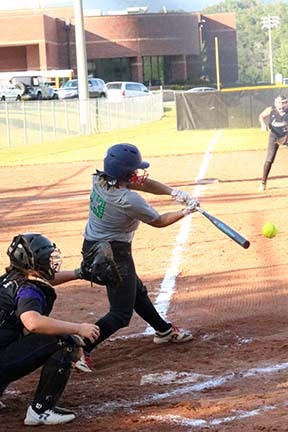 The Lady Indians put 10 runs on the board with 5 of them being unearned. 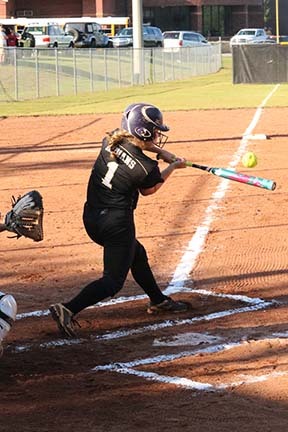 Robinson, the pitcher for Lumpkin allowed no runs on 2 hits with her teammates behind her having zero errors in the 6 inning game. 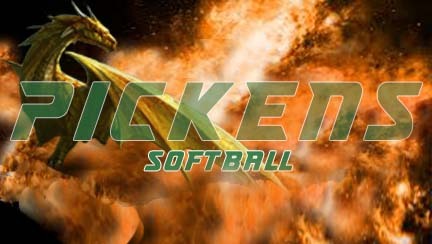 Sarah Morris in the circle for Pickens, was charged with 5 earned runs on 7 hits in the loss. In relief, Charley Hulsey game in in the 5th inning giving up a hit and striking out 1. Ellie Abner and Chloe McPhersone both had a single to comprise the 2 hits for the Dragonettes on the day. 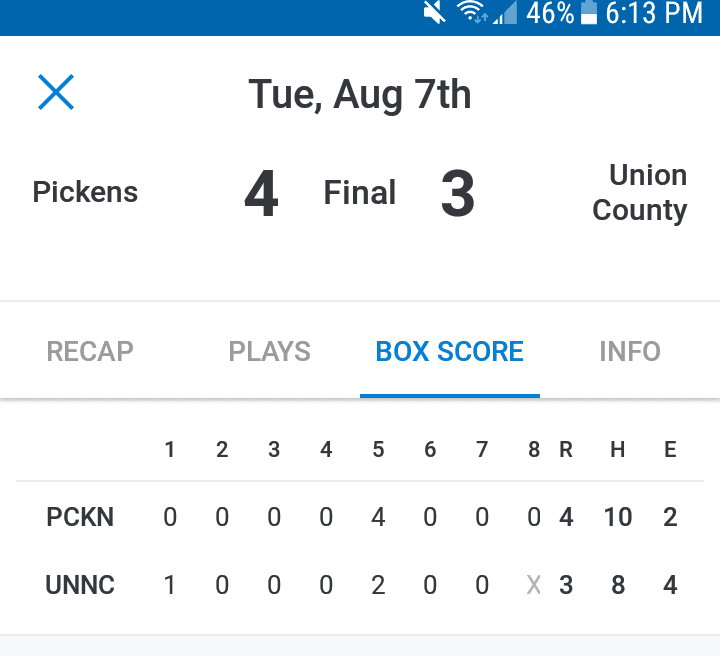 Next up for Pickens will be an away game at Union on Tuesday starting at 5:30pm.